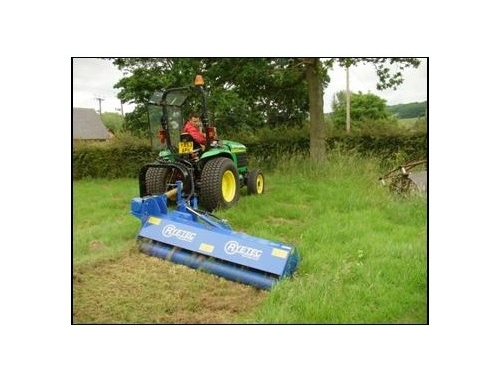 A Heavy Duty range of flail mower collectors capable of clearing grass and scrub up to 75mm (3″) in diameter. 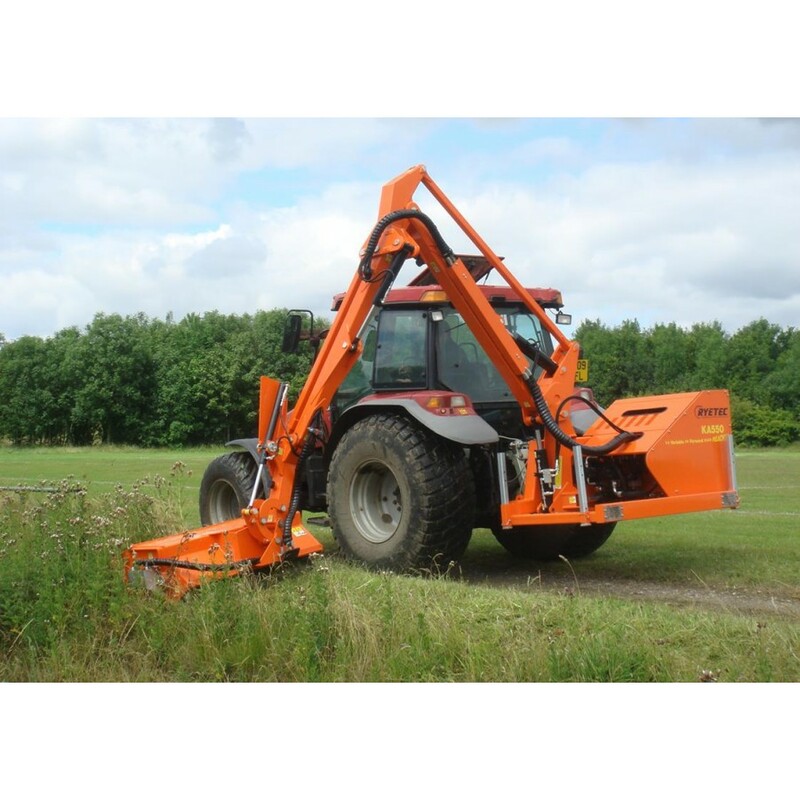 Ideal for annual cutting of conservation and wild flower areas and scrub clearance. 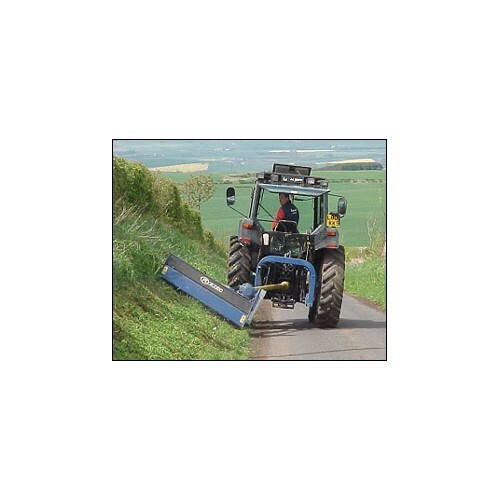 Available in a range of widths from 1.2m to 2.2m (see product brochure for more information). Available as ground tip or high tip. 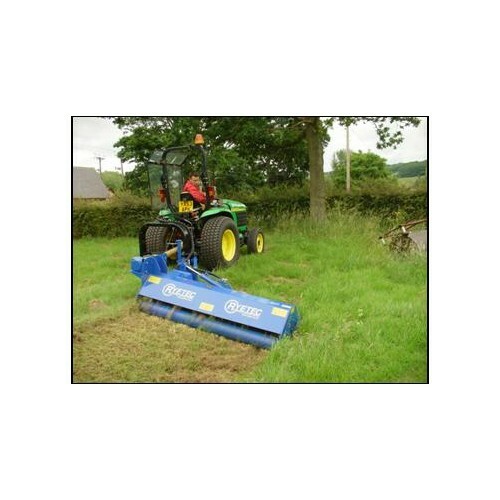 Suitable for use on large compact and agricultural tractors. 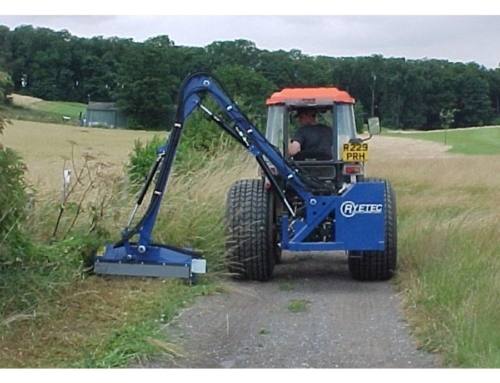 Floating linkage allows machine to follow ground contours effectively. 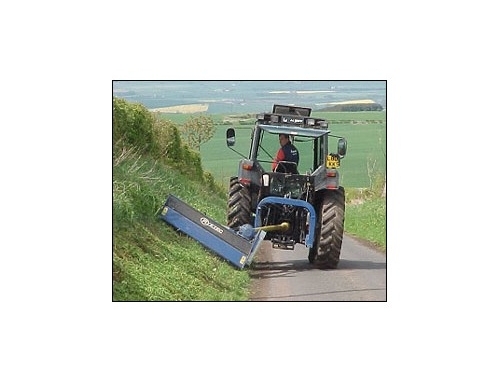 Heavy duty hardened cast flail hammers allow cutting up to 75mm diameter. Heavy duty gearbox with overrun clutch, and ‘V’ belt drive to rotor. Special SUPER model with stronger, heavier build for the most demanding conditions. 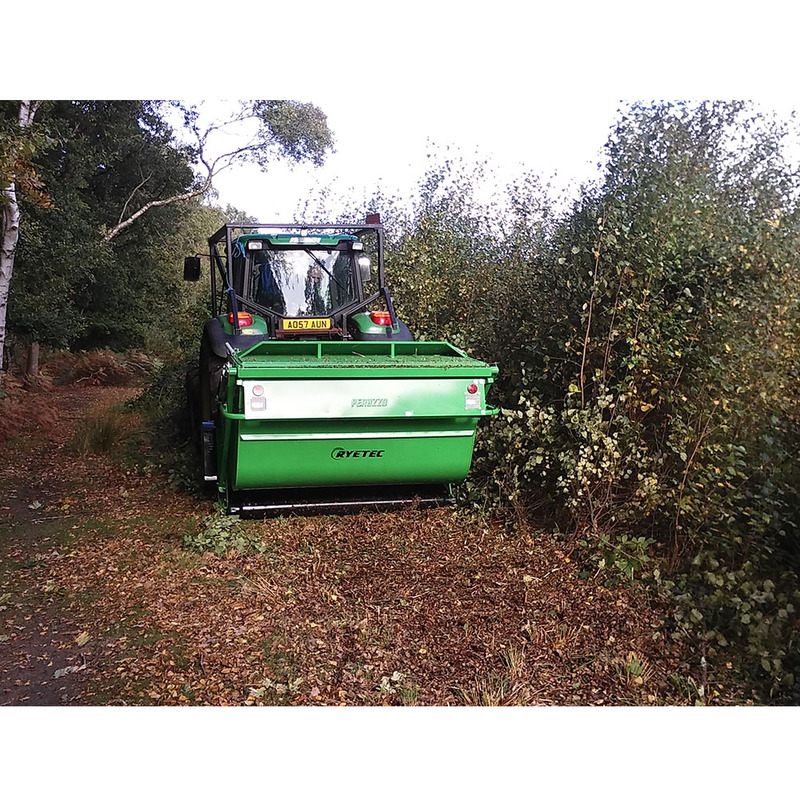 The Contractor collector is particularly suitable for long/wet grass, scrub-land, heather, bracken, gorse and managing wild flower areas. In fact a number of Contractors are now being used for specialist applications in conservation. 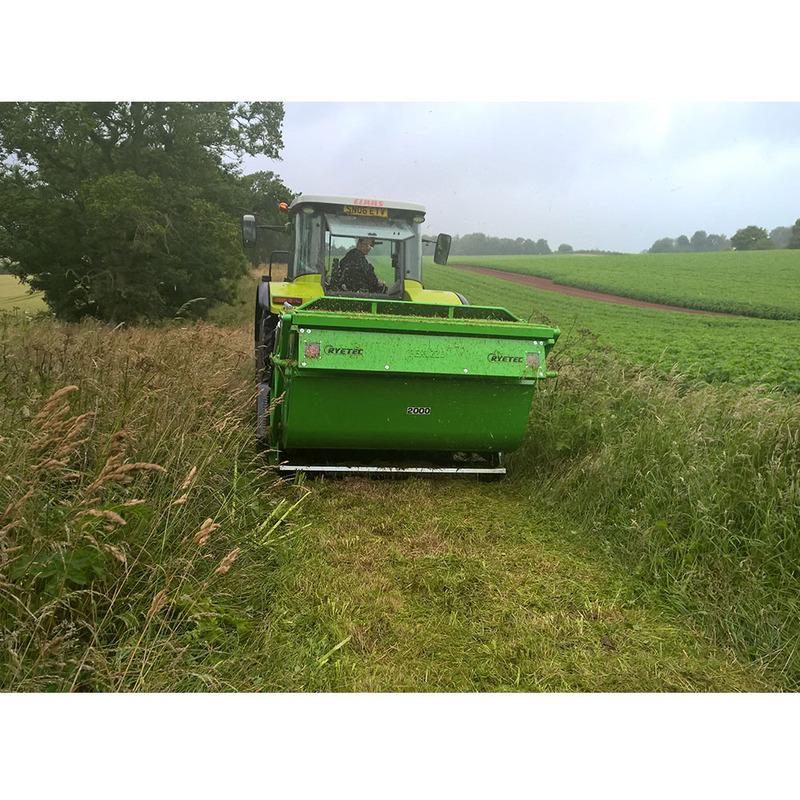 The annual cut and collect of wild flower areas is a normal application. 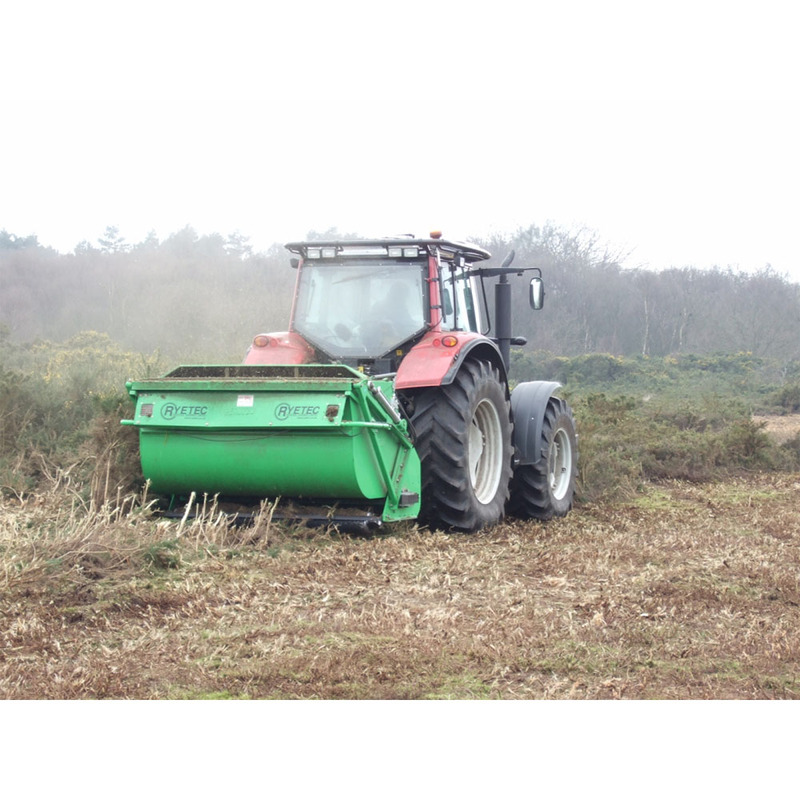 Cutting and collecting heather for regeneration purposes and the clearance of problem species such as bracken and gorse are also becoming common. 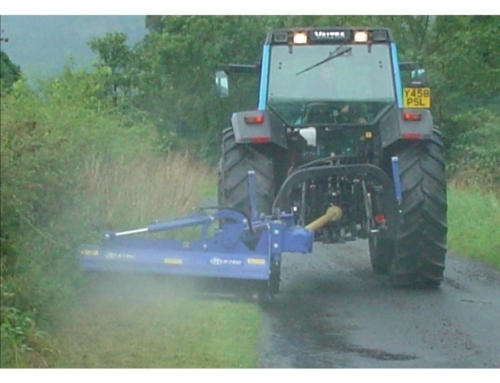 The robust construction of the machine and features such as the large diameter rear roller (200mm) allow the machine to be used in very arduous conditions. 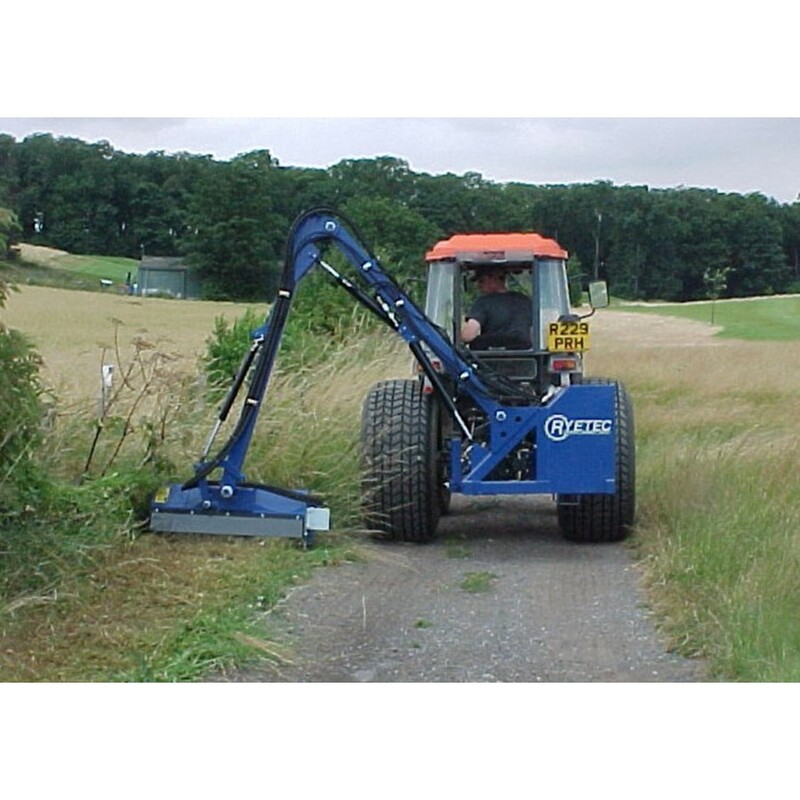 The fully mounted machines are easily manoeuvred in awkward areas and on badly undulating ground conditions. 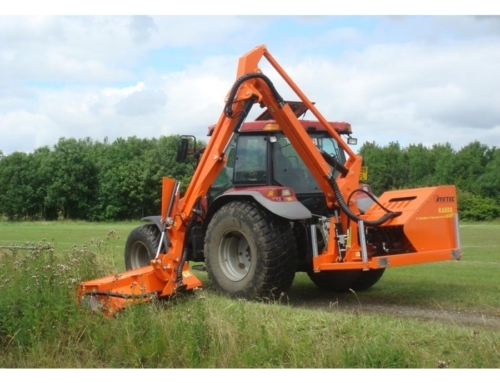 The Contractor range feature a cast hammer type flail. 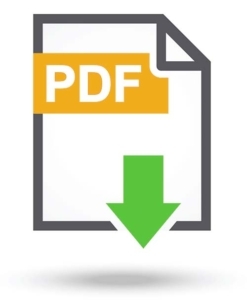 The hardened cutting edge and weight of approximately 1kg allow the machines to cut through material up to 75mm in diameter. 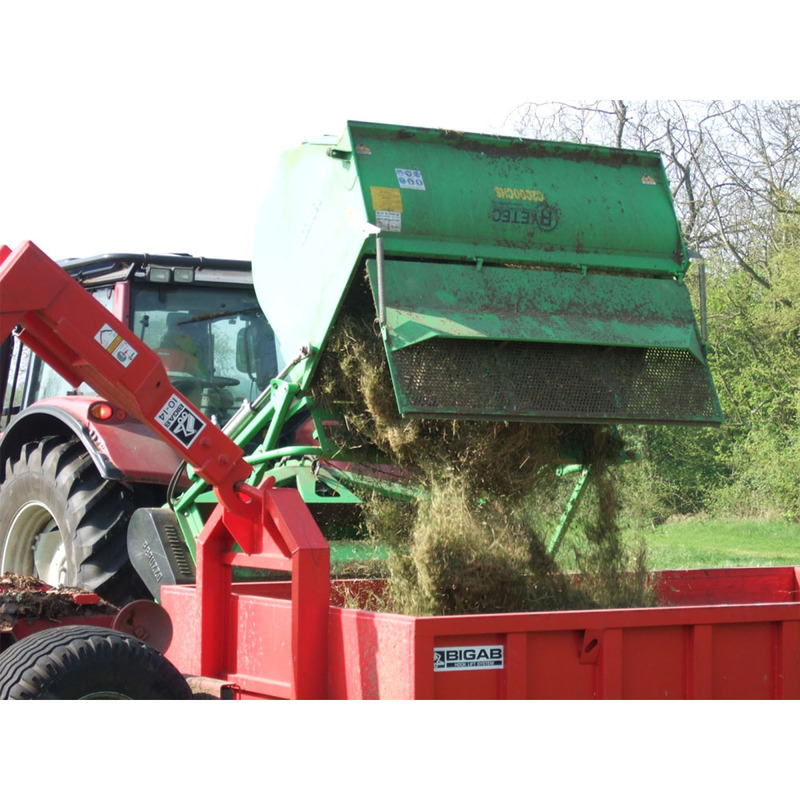 The ‘shovel’ design effectively throws the cut material into the hopper without requiring extra ‘draft/wind paddles’, the throwing action gives more efficient collection even in the wet. 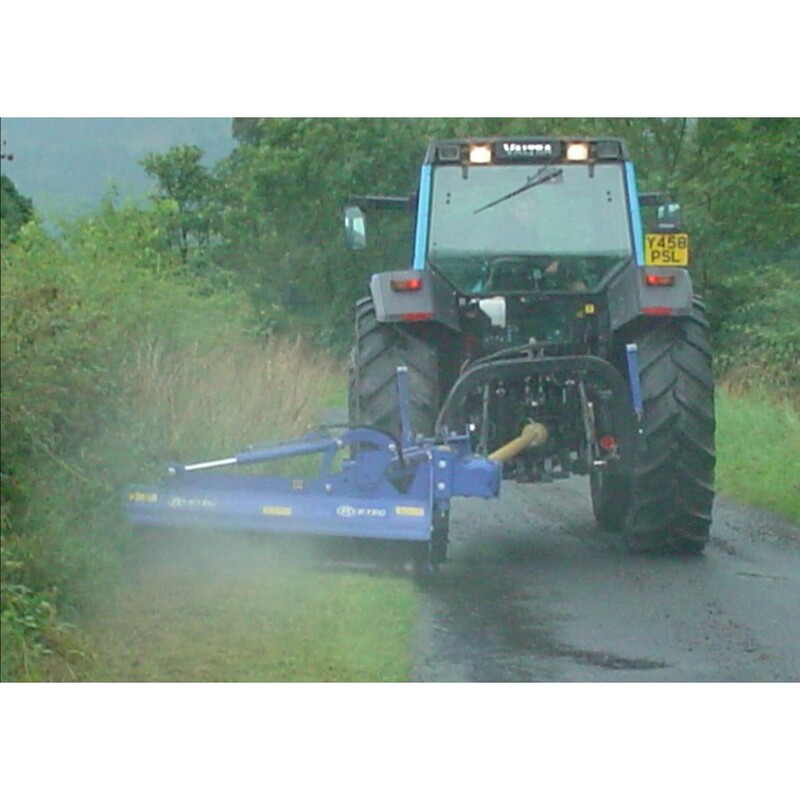 The straight cutting edge leaves a high quality finish. 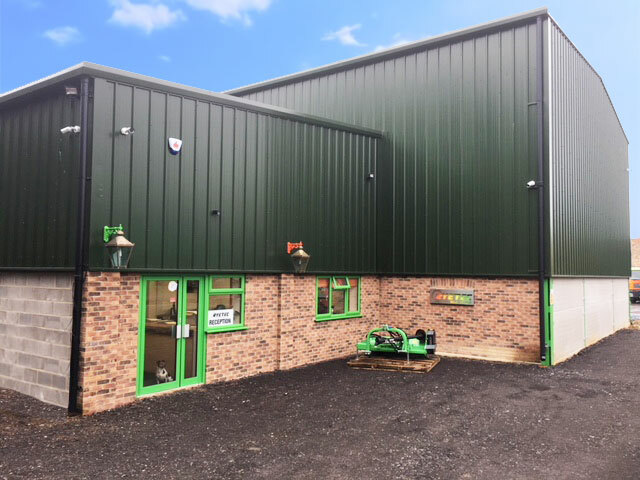 Flail maintenance is made easy by the rotor inspection door which allows full access to the blades and rotor from above.